With extended use at high temperature a heat transfer fluid will thermally degrade and eventually need to be replaced, if unmanaged. Frequent testing and analysis will help you extend the operational life of your heat transfer fluid and heat transfer system. It will also help quantify the extent of flammable decomposition products in the heat transfer fluid in order to understand the risk they present to the safety of the plant or to define interventions that will mitigate their risk. 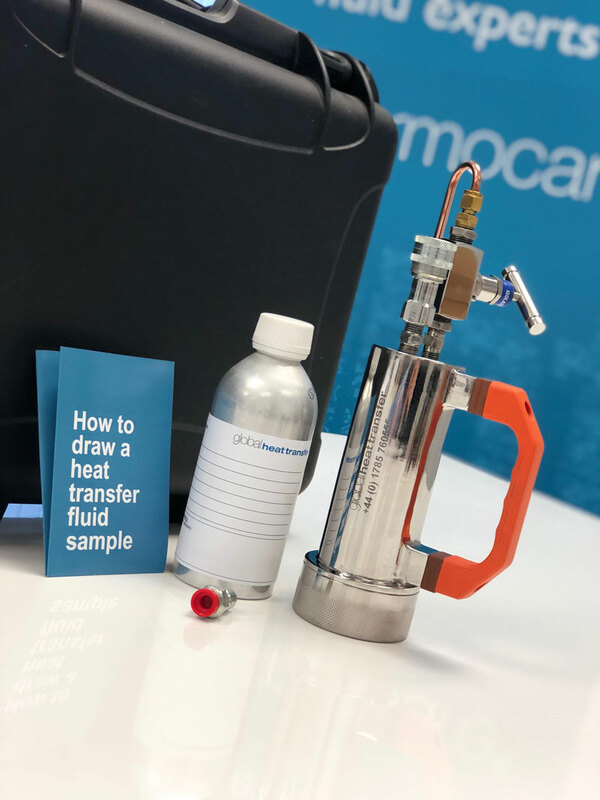 The Global Heat Transfer fluid sample drawing kit provides everything you need to draw a representative, closed, hot and circulating heat transfer fluid sample in preparation for analysis. The Global Heat Transfer heat transfer fluid analysis service includes the full suite of 11 tests, undertaken in our lab (including Total Acid Number, Viscosity, Carbon Residue, Closed Flash, Open Flash, Fire Point) to determine fluid condition and any detrimental changes which could affect production. Using a simple traffic light system (green represents a satisfactory condition and red highlights a caution) the fluid report details any risk to the safety of the plant as well as interventions required to improve fluid condition, extend the operating life of your fluid and heat transfer system. A member of the Global Heat Transfer technical team will contact you to discuss the results of your heat transfer fluid analysis and advise you of any next steps required to manage the fluid. 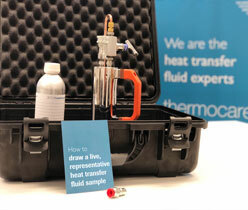 The Heat Transfer Fluid Sample Kit can also be supplied as part of a Thermocare® condition monitoring and maintenance plan along with on-site training for your engineering, operations and health and safety team.